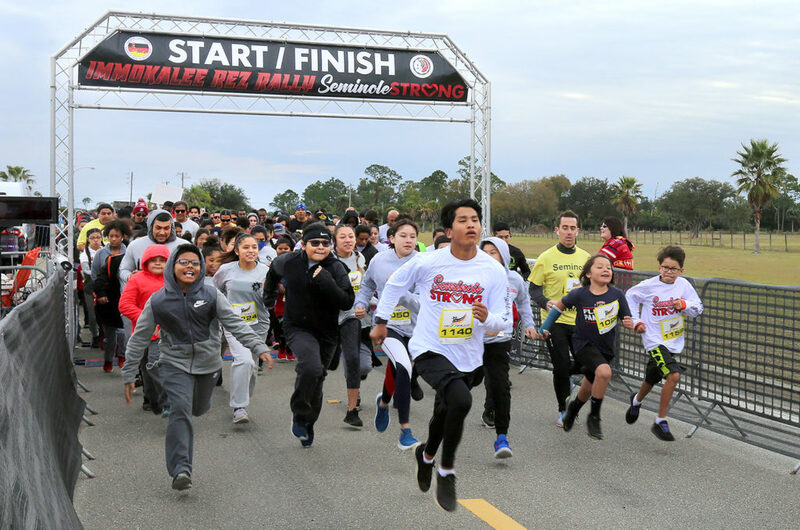 IMMOKALEE — Runners and walkers from all Tribal communities woke up early Jan. 26 to participate in the 19th annual Rez Rally held on the Immokalee Reservation. 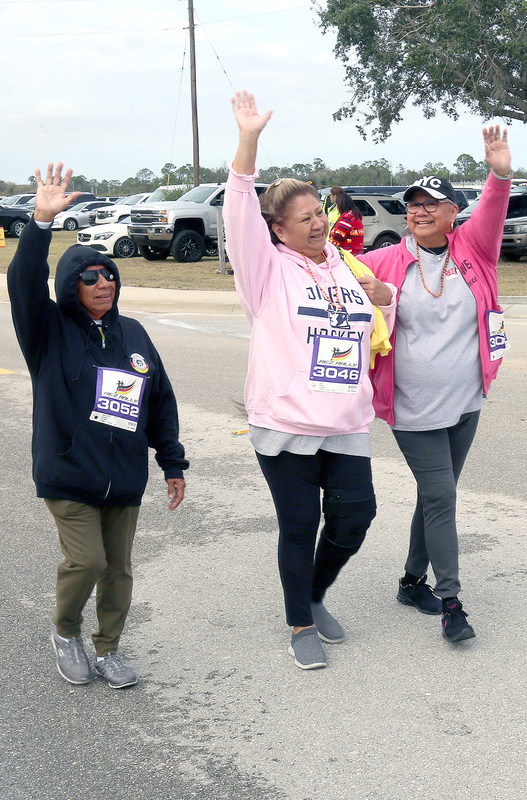 Despite cold temperatures, breezes and intermittent rainy conditions, participants stayed fired up to tackle a 5K run, 5K walk or one-mile walk. Each reservation had members at the event who were represented in teams. 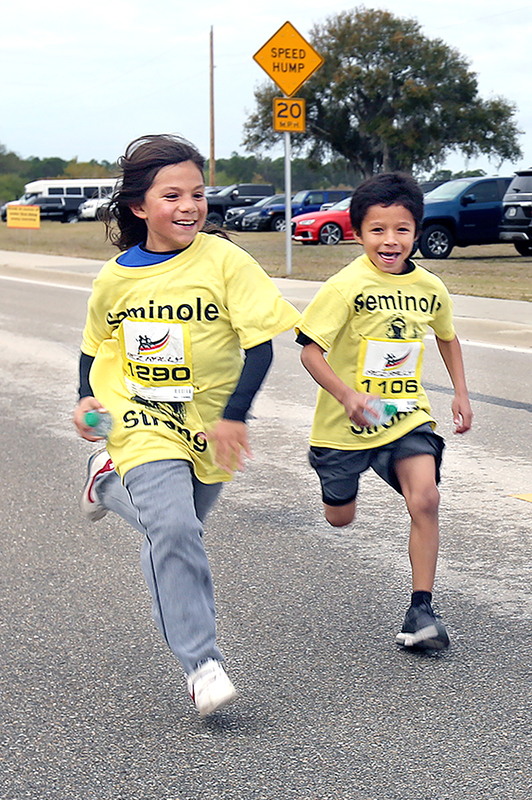 “Seminole Strong” was the theme of this year’s event. “It’s really cold out here. I’m glad to see a good turnout,” Council project manager Raymond Garza of Team Immokalee said. 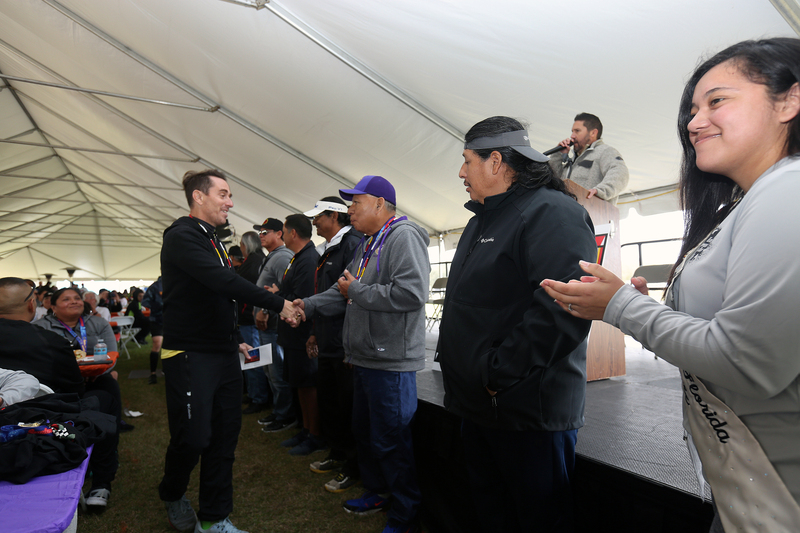 “Rez Rally means a lot to our Tribe. Good luck to all the Reservations, but we’ve got this in the bag,” he said with a smile. 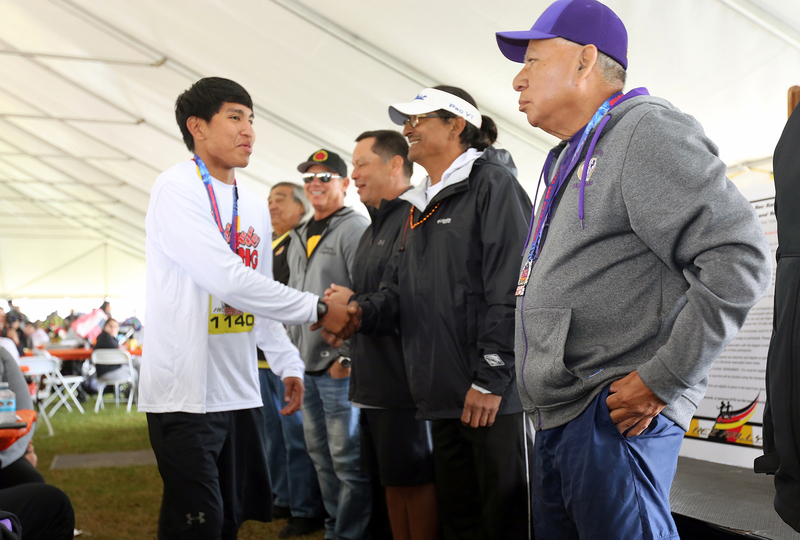 Tribal members and employees of all shapes, sizes, ages and abilities competed and participated in the festivities within several categories. 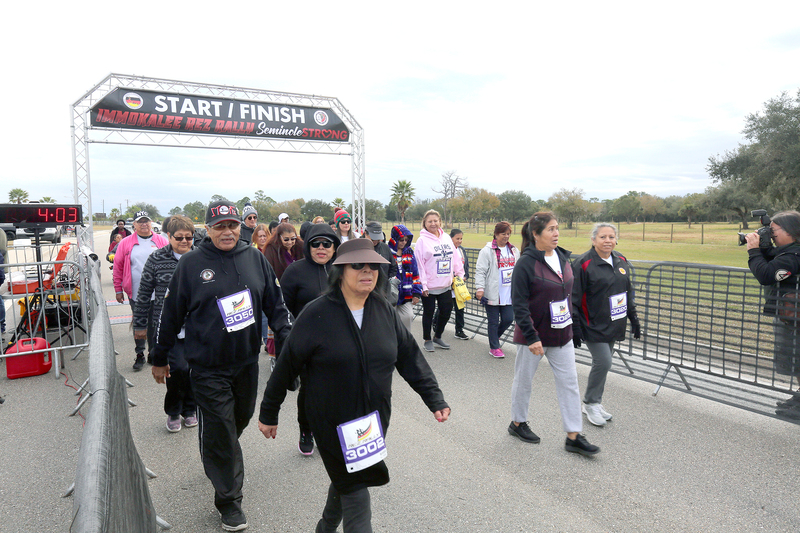 It was all meant to bring a focus to diabetes awareness and prevention, as well as the general importance of maintaining an overall healthy lifestyle. “Everyone’s a winner just for being here,” said Chairman Marcellus W. Osceola Jr. before the event. Osceola thanked Edna McDuffie, Big Cypress health outreach coordinator, who helps to organize Rez Rally with other departments. 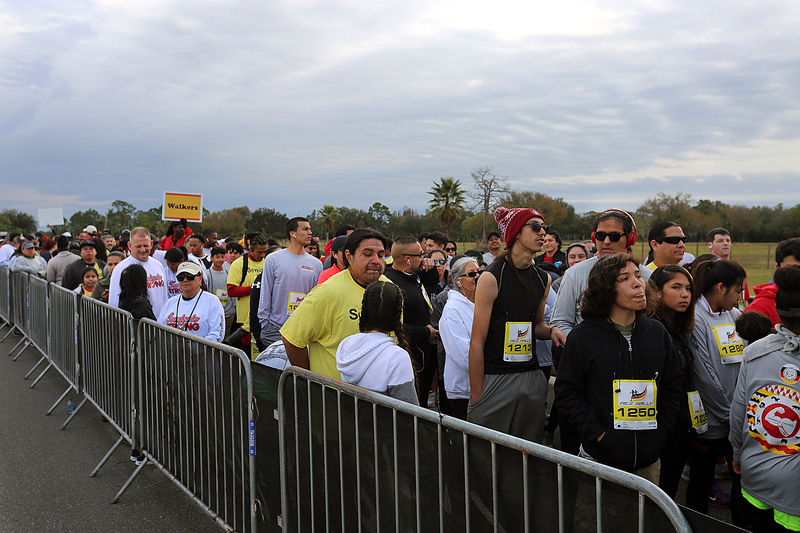 “Walk, crawl, whatever you have to do to get across that finish line,” said a chuckling Osceola who ran the 5K. Other members of Tribal Council were on hand and either ran or walked, including President Mitchell Cypress, who was instrumental in the creation of the Rez Rally and is a fixture as one of the walkers every year. President Cypress stressed the importance of parents being positive role models in the realm of health and nutrition for their kids. Before the awards ceremony, prolific runner Kaleb Thomas of Brighton was asked by his peers to give some words of encouragement to the crowd. “You can make a change right now and make better choices. Whether you’re a runner or a walker, you can make a difference,” he said. Thomas is a junior at Okeechobee High School and has run in the Rez Rally many times. Staff from the fitness department led everyone through a pre-warmup stretch. Refreshments were served as well as a buffet lunch after the event. There was also a booth set up for voter registration. Participants received team t-shirts and medals for running or walking.